Alba Berlin thrilled the fans at O2 World in the German capital with a come-from-behind 74-71 victory over Elan Chalon to improve to 2-0 in Group B. The hosts trailed for much of the game and were behind 53-66 early in the fourth quarter, but Heiko Schaffartzik helped lead a 21-2 charge, capped by a DaShaun Wood triple with 39 seconds to go, to soar ahead and claim the win. 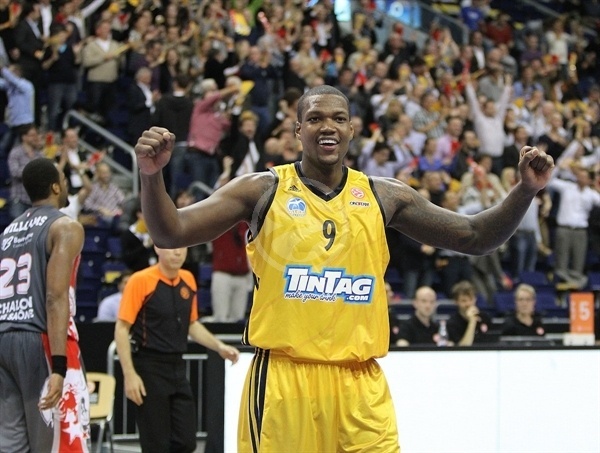 Deon Thompson kept Berlin in the game early and finished with a Euroleague career-high 24 points plus 8 rebounds. Wood added 19 points and Schaffartzik tallied 13 points and 5 assists. 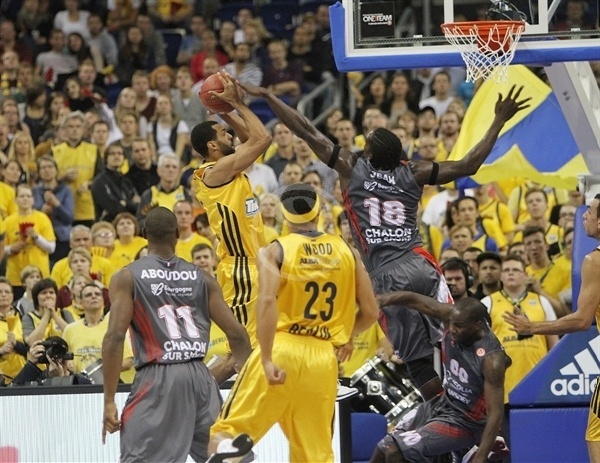 Steed Tchicamboud scored 20 to lead the French champs, who slipped to 1-1. 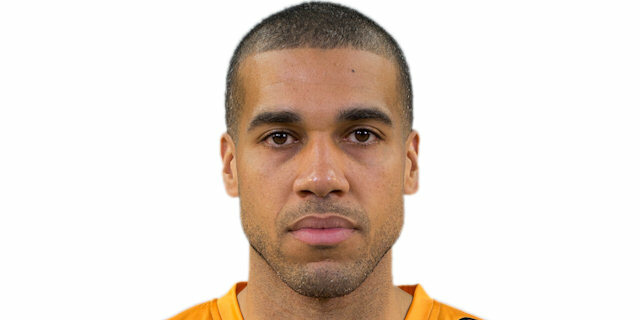 Shelden Williams posted 14 points and 13 rebounds and Blake Schilb also scored 14 in defeat. Thompson showed his aggressiveness from the start by scoring the opening basket on the offensive glass. 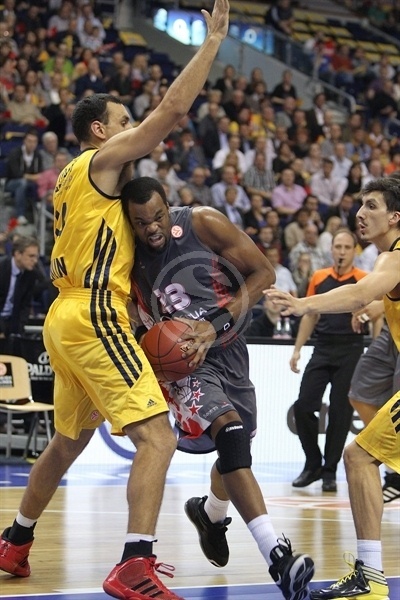 Chalon went inside to Williams, who responded with 4 points – the second a powerful slam – to give the French champs the lead. Thompson and Williams traded baskets again at 7-8. 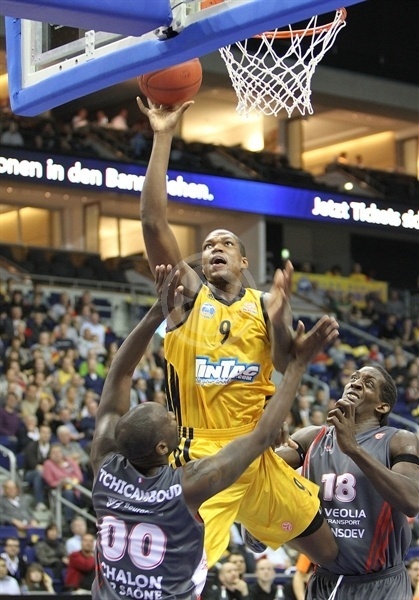 Tchicamboud was fouled shooting a three-pointer and made the resulting 3 free throws for a 9-11 lead. The red-hot Thompson tied the score, however JBAM soon had the visitors back on top. Nihad Djedovic’s steal and layup tied the game at 15-15, but JBAM remained strong underneath with a slam for the visitors. The lead switched hands as Wood nailed a three and JBAM dunked again. Thompson’s 10th point of the night made it 20-19. 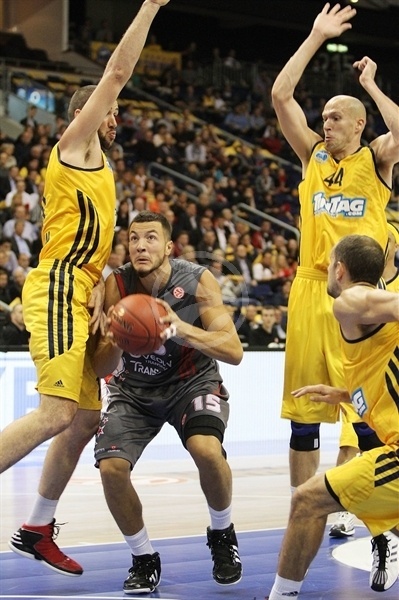 Tchicamboud free throws helped Chalon secure a minimal 24-25 lead through 10 minutes. Chalon kept Berlin scoreless for over two minutes while JBAM converted a three-point play and Nicolas Lang drilled a triple. Thompson, on the offensive glass, ended Berlin’s mini-drought. But after scoring again, he was called for an offensive foul and returned to the bench. Blake Schilb and Albert Miralles traded baskets to get to 30-33 midway through the second quarter. Chalon got a chance to pad its lead when Zach Morley was called for an unsportsmanlike foul for stopping Tchicamboud on the fast break. But after the 2 free throws, Morley recovered to block Joffrey Lauvergne. Wood drew the hosts back within 1, but Tchicamboud connected from downtown to make it 34-38. Brion Rush further extended the lead before Wood settled the halftime score at 36-40. Woods opened up the scoring in the second half, but the combination of Williams inside and Tchicamboud from behind the arc made it 40-45. Schilb put the visitors up 7 with a fadeaway, baseline jumper. Thompson made his presence felt with 4 of his team’s next 5 points in closing the gap, but Chalon responded convincingly. While the hosts committed turnovers on three consecutive possessions and then missed their next three shots, Rush drilled a triple and Tchicamboud scored before setting up Williams for a nice basket to make it 45-54. After a Berlin timeout, Schaffartzik fired in a triple. But the momentum slipped away as Miralles fouled Williams and then was called for a technical, which forced him to the bench. After 5 made free throws between Schilb and Williams, the French champs led by 11. Schaffartzik gave the fans something to cheer about with a second triple, but it remained 51-59 through three quarters. 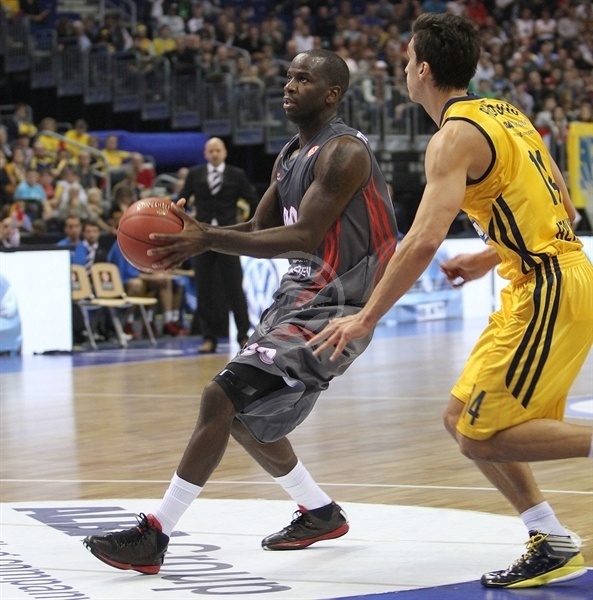 Tchicamboud’s third three-pointer of the night gave him 20 points and restored Chalon’s 11 point edge. Rush added a tough jumper as the pressure mounted for Alba. Thompson inside and Schaffartzik with a frantic three got the hosts closer and Brian Randle scored a fast break layup to make it 60-66, causing Chalon coach Gregor Beugnot to use a timeout. However, Schaffartzik picked up a loose ball and Thompson scored and drew JBAM’s fifth foul as the Berlin charge continued. Schaffartzik capped an 11-0 run to make it a 2-point game midway through the fourth quarter. Williams finally got Chalon back on the scoreboard with a tip-in. Randle tied the score at 68-68 with a layup over Williams. 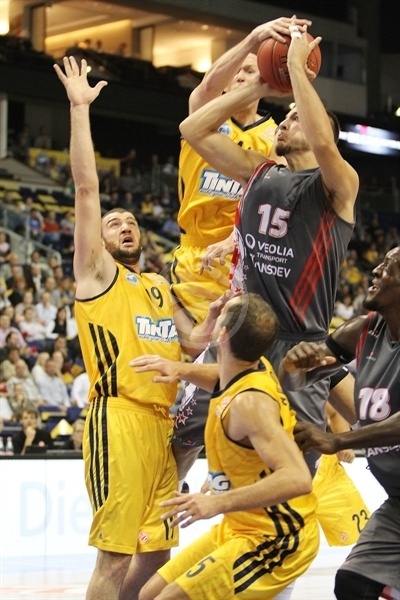 Djedovic completed the comeback with a free throw for Alba’s first lead since the first quarter. Schaffartzik connected twice from the line to make it 71-68 with 1:27 remaining. Berlin denied Williams at the other end before Wood practically iced the win with a triple with 39 seconds to go. Schild ended a seven-minute Chalon scoring drought with a big three with 27 seconds left. 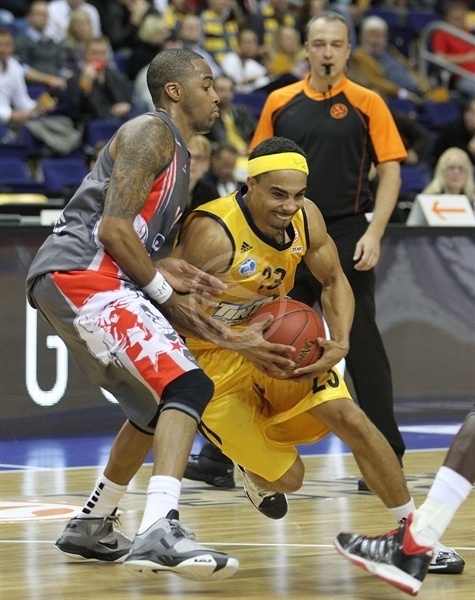 Chalon stopped Berlin on the final attack, but did not have enough time to shoot for the victory. "Congratulations to my team for winning such a game. We were too nervous today and even missed easy things under the basket. That put us in the situation to suffer. 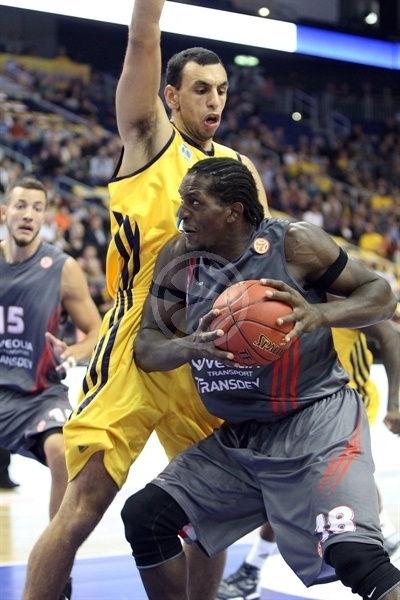 Finally, close to the end of the game we found a way with good and strong defense and Chalon just fell down. Congratulations again to my players, who did not give up, even when we were done by 13. Again we saw today what great personalities we have on our team. Zack Morley , for example, was not in good form today, but in the end he stole the ball, blocked shots and became one of the key players. 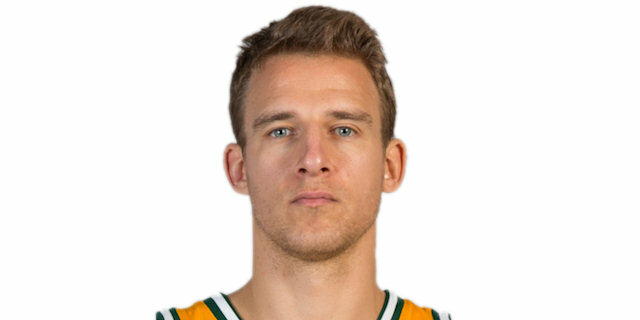 So did Heiko Schaffartzik, who also did not play a good game in the first three quarters, but then turned the game in our favor with his three-pointers. Not to forget Deon Thompson, who was unstoppable today, and Dashaun Wood, who was in good rhythm during the whole game. 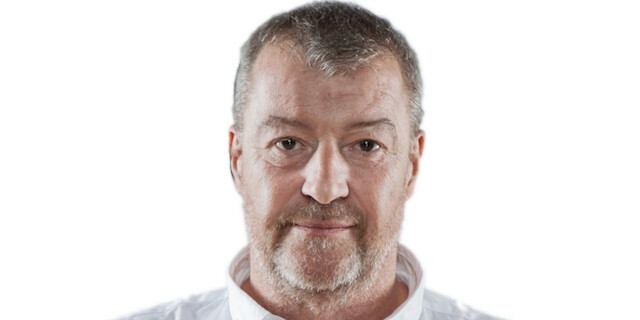 But for more wins in the Euroleague we need more players to become involved." "This is a very bad loss for us. We played great for 35 minutes and then, I don't know why, we stopped moving the ball together and did not execute well any more. After one player changed the face of the game by his three-pointers, the gym was there and Alba put more pressure on us with their defense. We lost the feeling of the game, which we had controlled before. Steed Tchicamboud had to play almost 40 minutes, because two weeks ago we lost Marcus Denmon with an injury, who as a combo guard was supposed to help Steed run our game at the point. We did not find an appropriate substitution on the market in these days, which hurt our game a lot. 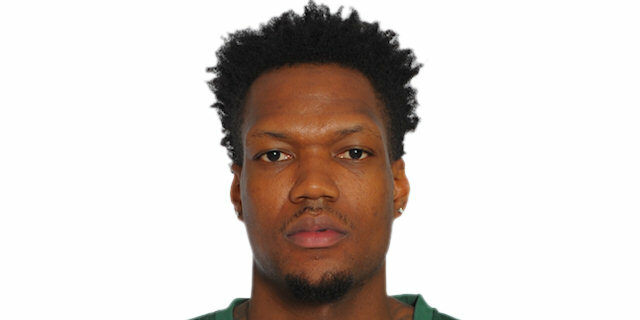 Hopefully Brion Rush, who is more a shooting guard, can help us at least a little in the point guard position in the future. Anyway it will be important for us to recall all the mistakes we made today and try to avoid them in the future. " "Our defensive pressure wasn't at the needed level for most parts of the game. Fortunately we were able to change that in the end. As soon as we put more pressure on their point guard and denied the passes, the game turned on our side. Running our fastbreaks also brought our crowd back into the game." 'We really wanted this win and played with a lot of emotion, but It was hard for us to find our rhythm in the game. Finally we found it at the end, because even with down by 13, we kept fighting. We are really happy with this win." 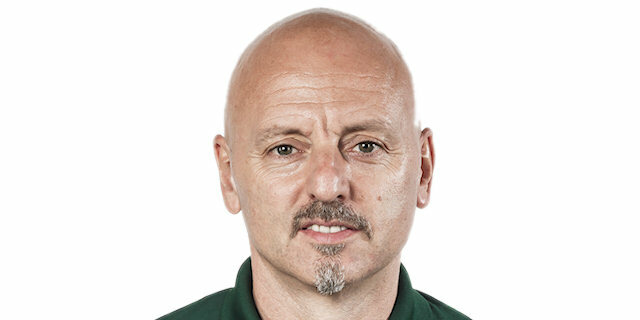 "This is a tough environment to play in and Alba is a good team. Hats off to them, how they came back and got the momentum in the fourth quarter. We made some mistakes late in the game and learned tonight that on this level, such mistakes cost you the game. We have a big game next week against Maccabi and until then have to learn from those mistakes and try not to repeat them."